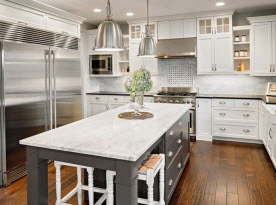 The remodeling and renovation experts at Future Vision Remodeling offer residential and commercial home improvement services to home and business owners in San Jose, California and the surrounding areas. We specialize in custom design and remodeling services for kitchens, bathrooms, room additions, whole home remodeling, and exterior remodeling including new roof installations and landscaping services. Our professional design experts will redesign your space using state-of-the-art 3D design software to bring your upgrades to life. Our skilled master craftsmen and builders take pride in the work they perform and are dedicated to providing home improvement and remodeling services to satisfy your every desire. Whole home remodeling can be an overwhelming prospect especially when you consider the scope of a remodel. For many homeowners, a whole home remodel can be the difference between living in their existing home or selling to move into a new one. At Future Vision Remodeling, we take care to ensure that your whole home remodeling project is completed on time and on budget. The skilled professionals at Future Vision Remodeling have more than 13 years in the remodeling and home improvement industry. 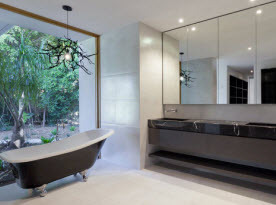 We can tackle all aspects of your renovation from planning and designing, right down to the construction phase and execution of the smallest details. Our highly qualified design experts, project managers, master craftsman, and builders take great pride in the work they perform in your home. Our friendly professionals will take the time to learn about you and your family to understand your needs before designing a space that will exceed your expectations. Our reputation for providing insight and creativity combined with quality workmanship and premium products are some of the many things that set us apart from our competitors. •	Save time and money by completing your home improvement requirements at the same time. •	Update your existing electrical and plumbing to ensure they meet current safety standards. 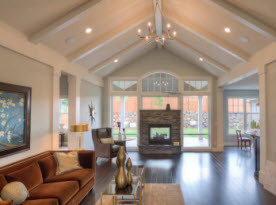 •	Change your existing space up upgrading to an open floor plan. •	Add additional living areas by utilizing your existing square footage. •	Save money by improving the energy efficiency of your home. •	Aging-in-place remodels to accommodate the needs of elderly family members. If you are considering a whole home remodel, now is the time to upgrade the exterior of your home by installing a new roof, new siding, or energy efficient windows to add curb appeal and further increase the value of your home. 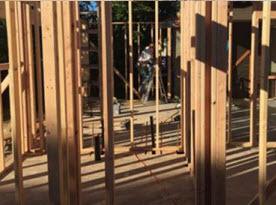 To learn more about whole home remodeling services for your San Jose, California home, contact the knowledgeable experts at Future Vision Remodeling today.